This black 5-Drawer tool chest is made from high grade all welded steel construction and finished with tough black industrial powder coat paint. 2 small and 3 large drawer are ideal for a wide array of items. All drawers feature 50 lb. rated ball bearing drawer slides. All drawers have extra-large full width aluminum drawer pulls for easy access. The cabinet drawers are secured by a keyed internal locking system and come with 2 keys. This 6 drawer tool chest offers basic drawer storage options. The chest is made from high grade all welded steel construction and finished with tough industrial powder coat paint. Ball bearing drawer slides hold up to 50 lbs and let drawers move easily under heavy loads. Oversized full length aluminum drawer pulls make it easy for fingers of any size to open the drawers. The chest features a top till area for additional easy access storage. The reinforced top lid is supported by gas struts which assist in opening and closing the lid. Lifting top lid allows drawers to unlock. The recessed aluminum side handles make it easy to lift and move the chest. Keyed locking system (2 keys provided) for added security. CC482423 Compact Chest Southwire's compact chest is a highly mobile storage vault. This box offers the prefect profile for any truck bed and will be a staple to your material storage needs. With the addition of steel fork lift skids, this box will become your workhorse. 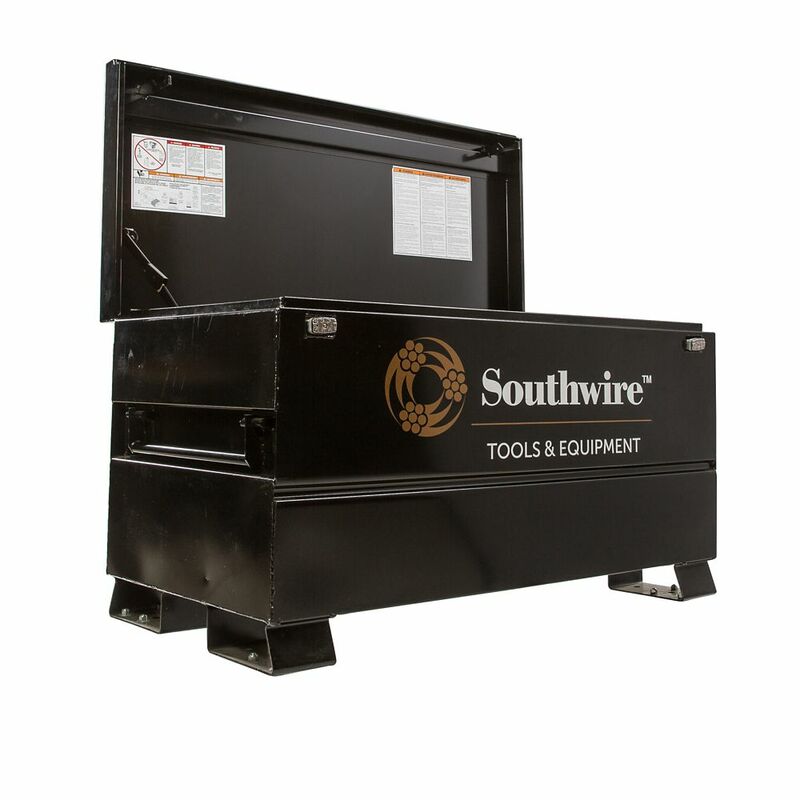 With the Southwire Compact Chest, there is no better way to control and secure your livelihood.